If you're in to motorcycles, you've likely seen at least one motorcycle related film. And there's a lot of choice out there, especially as adventure motorcycle travel is a growing industry. But who is "behind the lens"? Sterling Noren of Noren Films is the producer of over a dozen award winning adventure motorcycling films. And Sterling is one of those people who is dedicated to the rigors of not only riding the trails or roads, but putting the time in to filming, editing and producing the movies that you watch. *Bio: Sterling Noren's background includes 27 years of experience in the film and video industry as a Writer, Director, Producer, Editor and Cameraman. He has worked in multiple industries including corporate, commerical, software, independent, documentary, travel and broadcast television. Since 2007, he is the Founder and Director of Noren Films, a company that creates adventure motorcycling movies and provides film services to the adventure riding community. 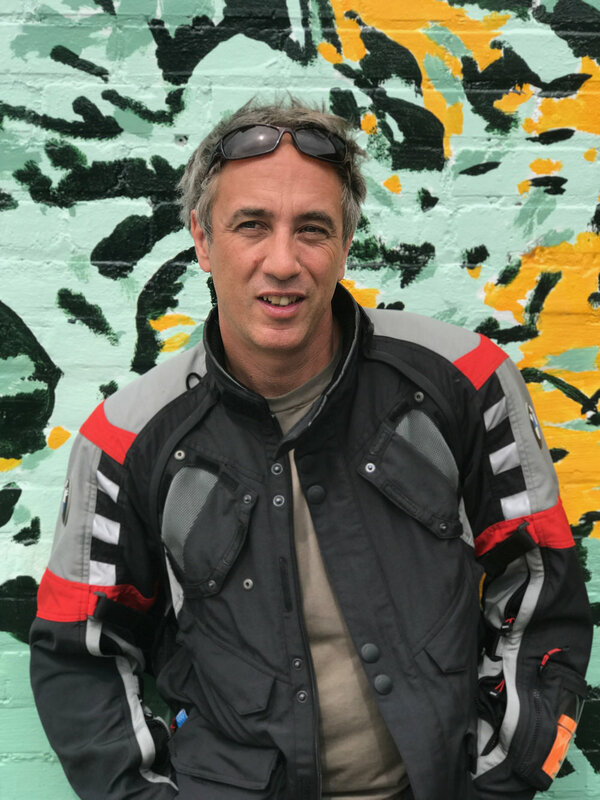 Sterling has traveled to over 60 countries as a motorcycle filmmaker and produced more than a dozen award-winning adventure motorcycling films since 2001. His films are available on Amazon and Vimeo. DVDs are available through Touratech USA. His most recent film "Run Free - The True Story of Caballo Blanco" can be seen on SundanceNow.com. Beyond The Border (Riding Solo in Mexico) is a motorcycle adventure film created by Sterling Noren. 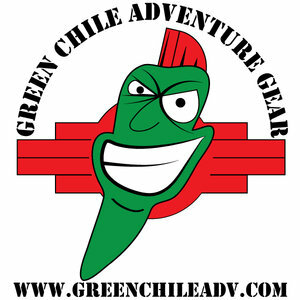 It's a story of determination, discovery and adventure set in Baja and the Sierra Madre Mountains of Northern Mexico. Against a backdrop of violence and murder associated with the drug war, a motorcyclist (Sterling Noren) heads out on a journey to explore Mexico all alone. This transcript has been created from the original audio episode released February 8, 2018. This transcript may have been modified to make reading easier. As Adventure Rider Radio shows are meant to be listened to and not read, the following script may contain some grammatical and other errors. You can also listen to this interview by downloading the episode. Jim (Narrate): If you’re a fan of motorcycle movies (and who isn’t), then you’re going to probably recognize this name…Sterling Noren is an award winning film maker. 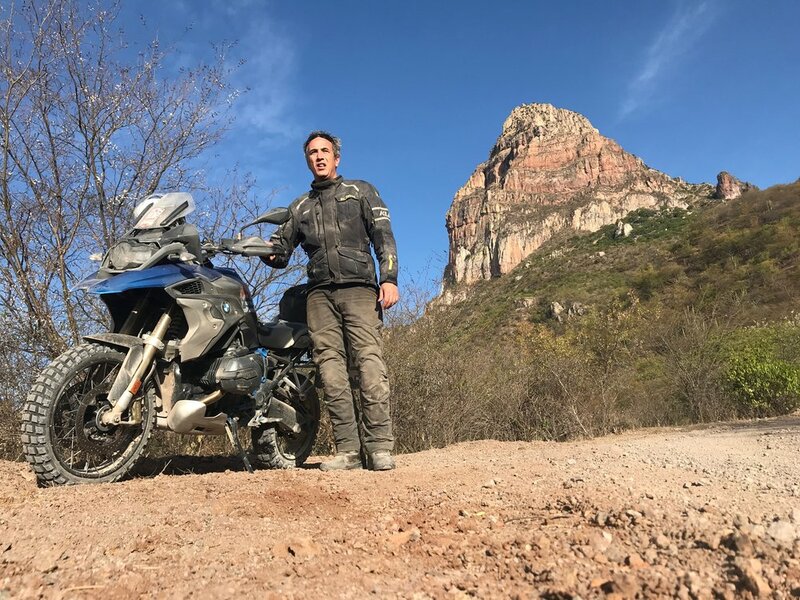 He is well known for his motorcycle films with Back Country Discovery Routes as well as Helge Pederson’s Globe Riders, BMW, and instructional videos. He’s a film maker that embeds himself in the story, often as part of the adventure. Enduring what the group has to endure plus adding the tasks of capturing the events as they unfold with both camera and microphone. Today we meet Sterling and talk about adventure, film, law of attraction and the role it has (law of attraction) in not only making Sterling’s life, but making his films as well. I’m Jim Martin, this is Adventure Rider Radio. Stay with us, we’ve got a good one for you. Sterling: My name is Sterling Noren. I spend my time between Seattle, Washington and Flagstaff, Arizona as an adventure motorcycle film maker. Jim: Sterling, welcome to Adventure Rider Radio. Sterling: Good to be here. Jim: What I really want to start with is; I want to talk about high school. What was high school to you? Sterling: High school? Wow. You’re asking me really to go back here. It was a long time ago, in the 1980’s, in a small town in west Michigan. High school was a transition period for me because we moved from one school district to another. We moved into a new house. It’s high school; you’re growing up and going through the normal things. One of the biggest things that was the most important for me from high school…well, there were a couple of things. One of them was punk rock music and really getting into that whole scene and rebellion and music. The other thing was learning how to do video production. I learned the basics of shooting and editing video for our high school cable news channel. It ended up being [the] start of a really long career in that field. Jim: Why video though? What is it that got you interested in video? What got you looking at it in high school? Sterling: Like a lot of kids that age, I had really no idea what I wanted to do for a career. Or maybe the problem was that I had too many ideas. There were a lot of things that I really liked. When I took the media production class, I realized that it was a combination of a lot of things that I liked. I liked music; you can certainly use music in video production. I liked creativity, I liked the visual aspect of it. I also liked the technical aspect of it. It appealed to all these different majors that I couldn’t decide around, and all in one package. The thing I think that really sold me (a couple of things really) was, I interviewed the mayor of the town that I grew up in. I was a 16 year old punk rock kid, with a mohawk and dyed hair, funny- yet she took the time out of her day to meet me to do an interview about our town and some of the things that were happening. She treated me with respect. I realized; wow, this camera can take me places. Look at me, I’m just this punk little kid and I’m interviewing the mayor of the town that I live in. How cool is that? So I realized that if I were to go into that as a career or field, that it would probably take me to some pretty interesting places. Jim: I think, often in life, we only have a few instances or circumstances that happen to us (or people that we meet)…You’re saying this interview; is she a person that you would say who sort of sent your life in a certain trajectory? Sterling: I think that that definitely was the case. I would give more credit to my media teacher (a guy named Roger Scutter) who really developed this outstanding media productions program that we had access to. I lived in a somewhat small community, it wasn’t a big school, it wasn’t a class "A" school. But the program that he put together…he did it out of his love for the students and his passion for teaching…and it was really outstanding. There wasn’t another program like that in the entire state of Michigan. We were really fortunate to have access to that kind of equipment at that time, to learn how to do the work we did. He was one of many, many mentors (I would say) that I’ve had in my life that have really influenced me in that way. Jim: As a young kid, you grew up riding a mini bike or a small motorcycle around…was it your family farm? Sterling: I lived at a blueberry farm. It wasn’t our farm, we had a farmhouse that my mother rented. It was her, my brother, and I (she was a single parent). We grew up on this blueberry farm, and when I was eight years old, I got the surprise of my life when I got a Honda 50 mini bike for my birthday, brand new. I was not expecting that at all, and it just changed my life. It became the most fun thing that I did, and I spent years riding that little mini bike around the trails in the woods. I would pack up my knapsack with a sandwich and an apple, and I would go…I think, looking back, I probably road five to eight miles away in the woods on the trails. That's a long ways for a little kid to go alone on a motorcycle. I think that’s kind of where it all started. Jim: Your first adventure motorcycle. Jim: You’ve got, what I think many people would call, the ideal job (that you’ve designed for yourself, and made for yourself). We get people continuously asking us how they can make money on the road. We hear all the time that people are trying to get into this field of adventure motorcycling in a way that they can make their living. I think it’s probably the same no matter what you do- if you were into canoeing, or running, or anything- we have this desire to do what we love for a living, which may or may not work out (I think in a lot of cases). But that’s not where you headed right away. You spent a long time sharpening you teeth in other areas. At one point you ended up on a cruise ship. Sterling: I worked in the film and video industry for many years developing my skills and talents. Paying my dues and working my way up through the different ranks and roles of production before I did what I did in adventure motorcycling. So it didn’t come right away, it was an ongoing process throughout the years. At the base level, at the bottom line, I always had this vision of working in some kind of adventure film and video production. That was sort of my dream from the beginning if I go way back to those high school days. I remember seeing a video from Green Peace where someone was out in a raft, and they were protecting whales from being captured and killed. They were driving around in this zodiac out on the seas and there was this camera man on the front of the boat filming this, and I thought; that the job I want. I want to be out there on these adventures in nature doing something positive, saving the world, and making movies about it. So that had always been in the back of my mind as I was working in corporate video, industrial video, and the software industry, looking for those opportunities on the side to combine my love for adventure and travel with the skills that I was building. You’re right, at one point I ended up on a cruise ship, of all things. How that happened…it’s just one of those forks in life, almost like destiny. It was 1999, right before the millennium. I was a freelance video editor in Seattle at that time, and into adventure motorcycling at that time. The work was slowing down. It was kind of the dot com crash. I was looking into spending another long winter in Seattle, which is rainy, dark and cold. A couple of months earlier, I has seen an advertisement in the back of a video magazine about working on a cruise ship as a video programmer. So I sent off my resume, and never heard anything back. Then right before the turn of the millennium, I was trying to do some New Years resolutions/think about the future. (What could I do different?) Someone said, you need to write your mission statement down on a piece of paper. I thought about it, put some energy into it, and what I ended up writing on this piece off paper was: I want to get paid to travel around the world and make movies. Within a few days, I got a call from this cruise line, asking me if I wanted to come work on a cruise ship that was leaving in nine days. I would travel around the world for the next 6 months and make movies on board the ship. I just thought; how cool is that? So I signed up for that adventure. Jim: You mentioned destiny. And what you’re describing here is almost like (many would have described many years ago as) law of attraction, people still talk about that. Do you believe in that? Sterling: Totally. Big believer in that. Jim: So you think because you wrote your mission statement, that’s what sort of brought that opportunity to you. Sterling: I think if you live in a place where you connect with the energy and the feelings of the things that you want (even before you have them), that it’s from that place of connection and energy that you draw those things into your life. Jim: There’s a couple different ways of looking at that, and I’m interested in discussing it with you. Some people might look at that and go, oh it’s total hogwash, I don’t believe in the law of attraction. I’ve got friends like that as well. There’s also, what I call/ I refer to as, the Volkswagon effect (I made this up myself): You never know how many Volkswagons are on the road, until you drive one. Then all of a sudden, they’re everywhere. They were never there before. Jim: That could be with opportunity too, couldn’t it? You learn to have your eyes open or you have your eyes open for whatever reason, otherwise, you’d probably walk right past it. Sterling: I can see where this kind of conversation sounds illogical or nonsensical to some people. (Like- yeah sure, right. That’s not how the universe works.) But all I can say is from my experience. I’ve seen it happen several times throughout my life where that kind of thing seems to be going on in the background. I believe that when you put yourself out there, and you make a choice to pursue your passion, the universe will step in with opportunities that would not have otherwise occurred. Jim: Would you have considered yourself an environmentalist or activist when you were thinking about filming for Green Peace or even National Geographic? Sterling: Yeah, back in those days I really did consider myself that. The first thing I did when i graduated from college with my film and video communications degree was, I applied at National Geographic and I applied to Green Peace. I still have both of those rejection letters here in my office. I keep them around as a kind of reminder. The funny thing is, the summer after graduation I took off backpacking around the west just to have little travel experience and celebrate being out of college, and I did end up working for Green Peace in Boulder, Colorado (as an activist). It wasn’t really that exciting to be honest. We were more just raising money and going door to door and talking to people. Which is important, but it wasn’t the dream job that I was looking for. Jim: You weren’t hanging off the zodiac with a camera and the spray hitting you in the face. Sterling: No, the biggest opportunity I had was that there was direction action (as they call it when they go out and do something like that) at the rocky flats nuclear facility outside of Denver. They had created some billboard art and they unveiled it. I was out there with the video camera and I interviewed people, and I interviewed the artist. So I did sort of make a little video for Green Peace that was kind of fun. Jim: You also, through serendipity or through law of attraction, you ended up making another film by bumping into someone. Sterling: Yeah, I think you’re referring to the Mexico trip? Sterling: Yeah, very much so. That was a whole other level of seeing the law in action. That’s probably one of the biggest stories to date in my life, and one of the most important. Jim: Let’s talk about that for a minute. You were on your personal trip. It was a vacation was it? Sterling: Well, not exactly. It was…I had an objective in mind that was related to movie making. It was 2009, and by then I had already made several motorcycling movies- mostly with Globe Riders and Helge Pederson. We had been to Iceland, we had travelled the silk road across Russia, and we had just completed a 71 day trip in Vietnam, Indochina, that whole area…and several hours of television and movies on those trips. I was kind of feeling like I wanted to test myself, and put my skills that I had learned as a traveller, and a motorcyclist, and a film maker into a new context, into a solo journey. I wanted to do something that wasn’t guided, where we didn’t have an itinerary, where we didn’t have guides and helpers and fixers…where I was just really going to be out there on my own doing the best job I could to document myself and my journey. I was inspired by (it wasn’t a completely original idea)… there was an Indian film that came out around that time. By an Indian film maker, Gaurav Jani, it was called “Riding Solo to the Top of the World”. He documented his travels up in the Himalayas, on an old motorcycle, filmed himself. I just thought that that was really cool. There were also those surviver shows on television, like Bear Grylls, where they go out filming themselves in survival situations. And I thought, you know what? I’m going to do that on a motorcycle. I chose to go to Mexico because it’s close to the United States, and I didn’t have to ship my motorcycle anywhere. I had heard a lot of cool things about riding opportunities in Baja and this place called the Copper Canyon. So I made a plan to ride down there. I left on January 20th, 2009 (that was the day that Barak Obama became president. ), and headed down to Mexico. As I was travelling down there and filming myself, filming my ride, interviewing people I met along the way, there was also a part of me that was looking for a story that didn’t have anything to do with me, per say. I didn’t want this movie to be just about me and my adventure, and look at me and look at what I’m doing, and what I did…I also really wanted to find a really positive story in Mexico. Something that I could share with the world to counteract all the negative press and the stories that you hear in the news all the time about Mexico, and how dangerous it is to travel there. I guess you could say it was my belief as a world traveller, having travelled to several countries at that point, I’ve always felt welcome in the places that I’ve went around the world. I expected, once again law of attraction, I expected no different in Mexico. I knew that if I just rode long enough and far enough, I would find some amazing things going on down there that no one necessarily knew about. And that I could perhaps help share that story with the world. So, what happened is, I road down to Baja and took the ferry over to the mainland for part two of the journey, into the Copper Canyon. I still hadn’t really found the story that I was looking for. I was having a great adventure, I was surviving, I was meeting interesting people…but I didn’t really find that good news, positive hope story. So I went to the Copper Canyon, which was an adventure in itself having never been there before. I was nervous and scared about all the things I had heard, the dangers, and riding by myself, filming myself…and I made it. All the way into the canyon, to the bottom of the deepest gorge in North America, to the small town of Urique. I parked my motorcycle, the battery died, I got food poisoning, I was sick, I was laying in bed…just literally at the end of my rope. Like, what do I do now, where do I go next? Is this the end of my trip? I was planning to go home after that, I didn’t have another destination down there. Jim: But, hang on. This is where adventure really starts, isn’t it? I mean, as a film maker, don’t you get kind of excited? Jim: You go, wow this is awesome. Sterling: You do, but you have to give those other feelings their due as well. I really was at the end of my rope, and it was kind of horrible, and I was sick. I had sort of been living in this…I don’t know, just riding by yourself that intensely [day after day], you kind of go into this different head space. But, you’re right, that is where adventure comes. I’ve sort of trained myself to sniff out those scenarios and keep them alive for as long as they last. Because, a lot of times when the adventure starts, you want to go the other way and get out of it as quickly as you can. And I’ve seen that happen a lot of times. But, I was kind of having an adventure, there’s no doubt about it. It was discomforting, I think mostly, because I was sick. For a couple of days I was laid up in this little cabin down there, and couldn’t move, and the only other person that was there was this crazy gringo American that was a long distance runner from Colorado. I didn’t see him much because he was always out running. He’d show up in the afternoon with his dog, he’d take off in the morning and he’d go run 15, 20 or more miles, in this rugged environment. It’s a 6,000 foot canyon, gorges and rocks. The reason that he was down there doing that was in part because of the native Indian indigenous people who live there. They’re called the Tarahumara. They’ve been there for centuries living in the Copper Canyon and in the canyons. [This is] because when the Spanish came to Mexico, the Conquistadors, they colonized that part of the world, and these Indians, rather than fight them, they retreated into the canyons and into the high country and preserved their culture that way. In the process, they became some of the best foot runners in the world. They just walk and run to get around in that rugged environment since day one. So they’re known for being some of the best runners in the world. And this guy was down there running with them, learning some things about them. The most incredible thing was that he had created a 50 mile ultra marathon that was designed to bring the modern/western world runners and running ideologies into contact with this indigenous form of running, as a way of promoting and preserving their running culture. So he had created this race in the bottom of the canyon that happened once a year, and it was coming up in a week, and he asked me if I wanted to stick around and film it. That right there was like destiny, once again. It was the story that I was looking for. Jim: Did you know know it when he offered it to you? Did you all of a sudden have the light go off, and you go, okay this is it? Sterling: I thought it would be a pretty cool thing and it would be worth my while to stick around for a week, and ride further and explore further, and come back and film it. I can’t say it completely went off in my head. It didn’t strike me as much as it did after I saw it. Once I saw it, and experienced it and filmed it, then I knew without a doubt what an amazing beautiful thing it was. But I didn’t quite know the impact it would have on me before that. But it was enough that I stayed down there for a week, and rode around different parts of the canyon, and then came back to Urique for race day. Showed up, and saw it, and filmed it. Jim: What do you do to film it? Do you just sort of go along with it? I guess you have the skills at that point to sort of wing it. Sterling: Yeah, it was actually really fun and interesting. It was a highlight of my motorcycle filmmaking career, because I basically followed the runners on my motorcycle. The way it worked was the race begins and ends in the downtown of this small village of Urique. And the course was kind of like a Y formation; so the runners would go out and run one direction, turn around, come back, run through town, go back, run a different direction, turn around, come back, go through town, and run a third way, turn around, come back through town. So you could either stay in town and see the runners coming and going in different directions all day long and see who’s in the front and who’s in the lead…or you could do what I did; which was hop on my motorcycle, try to get ahead, position myself [and] film some of the guys coming past (and women, and children, it was all ages…very diverse race). [So] I did that. I followed them as best as I could on the roads. There was some single track sections that I couldn’t properly film them from, but I got enough coverage to throughly document enough of the race that I needed for my first viewing of it. Jim: Do you know what you’re going for when you’re doing that? Do you have an idea in your head about what the story is about? Because you’re basically starting at the go gun of the race. Do you have an idea what the story’s about, or do you shoot and then decide afterwards? Sterling: Well, I think in this case, the story was about my motorcycle trip down to Mexico and riding solo and looking for a positive story. The race, it seemed, was going to be that positive story. It wasn’t like, tell the whole history of the race and everything about the race, but sort of get the basics of it. I knew I just have to film the race as best as I can, and I have to get an interview with this guy, because he’s the one to properly tell me the story of the race. So, that was my perspective. Get the visuals as best as I can of the race, film some of the community and the people hanging out in town, a little bit of what goes on in the town, then interview this fellow Micah (Micah True), after it was all said and done. Then go back and build the story from there back in the editing room. Jim: What was the final product? Sterling: It was a movie that’s called Beyond the Border: Riding Solo in Mexico. It was released the following year (in 2010). You can find it on Amazon or Vimeo. Jim: Yeah, you got a couple of awards for it as well? Sterling: Yeah, it got a few awards. It was shown at some film festivals down in Mexico. Not a huge movie, but a lot of people have said that they really like it and it’s one of their favourite movies of mine. I think because it was a very independent movie, just me on my bike, doing my thing. Jim: At this point, are you working as a full time film maker? Sterling: Pretty much, yeah. 2010 was a pretty big year for me. 2007 was when I quit my last full time job- I was a documentary editor for five years for a company out of Seattle, during which time I edited and co-produced 80 hours of broadcast television. So, I sort of honed my story telling skills through that experience. But then in 2007, I had to stop working full time for anyone else, because it was just too hard to do my own motorcycling movies and projects on the side while working a full time job. So I made the decision to just go for it on my own. It was a slow start, but it was enough to keep things going. By 2010 things really wrapped up. That was a really big year. I had finished the Mexico movie and was releasing that. I also did an instructional off road riding skills DVD with RawHyde Adventures out of California. And that was the first Back Country Discovery Route movie, Washington State. And I did a documentary for BMW motorcycles on top of all that, and a Globe Riders Africa project, all within the space of one summer. Jim: Wow, that’s very very busy. This type of thing always makes me think of; many years ago I spoke with a guy named Gary Sowerby, and Gary Sowerby was a long distance driver is what he was, and he used to do these great long runs, and he was sponsored by I think GMC or something like that, but I always remember him mentioning that there were times like, he would go through three years not making a dime and then one year he might make $300,000-400,000. So he said it’s a feast and famine type business. Sterling: Feast or famine, yeah. Jim: Is that sort of what the film making business is? Because that’s what I sort of picture. You have to put so much ground work in before you actually get your product finished. Sterling: Yeah, again, I didn’t do it all at once. I was always working in the industry, and then started doing the motorcycling videos on the side back in 2001, and I still was working in the industry until 2007. So there was a period of six years where I was doing moto-films and DVDS on the side. [I was] sort of getting all of that stuff established, and figuring out the business opportunities and models, how to sell things, how much and where, and building those channels. So, when I did quit my full time job, I was already off and running in this other area. Then from there it was just a strategy of not having all my eggs in one basket, and being somewhat diverse. Like, I would do moto-films and documentaries of tours, but I would also supplement my income with producing commercials and promo videos for sponsors and players in the motorcycle industry. Then do some instructional DVDs…and kind of try to spread it out a little bit. Then once you get enough products out there in the marketplace, in my case movies, you start to build up a little back end revenue of the long tail or work that you’ve done several years ago. So you’ve got a little bit coming in from that to supplement what you’re making day to day. So, yeah, there’s an element of feast or famine to it for sure. But it’s worth the ride. Jim: You’ve developed a niche, really, for yourself that didn’t exist. I mean, you didn’t actually carve it out of anyone, you had to sort of build it in this industry. I’m sure there’s other examples in other industries, but I guess you sort of grew with the adventure motorcycling industry as well. You got in at the ground floor, built yourself a niche, and now of course, you’re the go-to for this sort of filming. Sterling: Yeah, I think in some ways it’s a niche within a niche. It is, it’s a very small niche to be doing this kind of work in adventure motorcycling and film making. If there was anyone I would think about comparing it to (and it’s kind of timely with his passing), one person would be Warren Miller with his ski movies. I’ve always felt a little bit of a connection, like being the Warren Miller of the adventure motorcycling movies. I got into it at the right time when it wasn’t even a market the way it is today. It was more just wanting to document this thing that I loved doing, and share the stories of my tribe of adventure riders with the world. I wanted to be that person that could help the rest of the world understand who we are. This is who we are. This is why we ride, and how we ride, and what we think about, and where we go, and what motivates us. To sort of tell the stories from the inside in the way that ski movies or Bruce Brown with surf movies…that kind of thing was somewhat of an inspiration to me. Jim: You mentioned about the Back Country Discovery film. When they were talking about making the first Back Country Discovery Route or publicizing it, did they approach you for making a film? Sterling: Well, what happened was, a friend of mine approached me and said; Hey, I know these two motorcyclists that are interested in creating a Washington Back Country Discovery Route, and I want to introduce you to them. The reason he did that was because the prior year, in 2008, myself and Helge Pederson, and a couple of guy from Touratech went down and rode the Oregon Back Country Discovery Route. That was the first BDR. We had nothing to do with it, it was created by some motorcyclists that lived in Oregon back in the 90’s. We went down and rode it in 2008, we made some videos about it, it was a really cool experience, people liked the videos we made…and then a couple years later in 2010, my friends said that there were these two guys interested in making a Washington version, and I should meet them. So I did, I went and met them. They were Bryce Stevens from Seattle, Washington, and Andrew Call from Seattle. They were two adventure riders, had a background in business, and trails, and mapping. They were definitely the right guys to pull off a project like this. They had support form the Overlanding community, the Overland Expo had awarded them the Overland flag for 2010 (which was a contest where you proposed to make a route and they’ll give you their backing and their support to do it). So, they had that support, and they were going to do this Washington BDR. I met them, and said, hey we should make a movie about it- I should introduce you to Touratech, they would like to back it or be involved. I brought everyone to the table, and everyone thought it was a great idea. We decided to go out that summer and film the inaugural running of the first BDR, the Washington BDR, and that’s really where it all started. Jim: And now you’ve done six or seven? Sterling: We’re going to go out and film the ninth one in April. Jim: You sent me a link for the East one, is that released yet? Sterling: It’s being released right now. All throughout this winter. I think the first show is the beginning of February, and then it continues for a couple months after that in dealerships across the country. So it will first be in the dealerships, and then you’ll be able to watch it online after that. Jim: So when you’re going out to film a Back Country Discovery Route, because you have enough of them under your belt now, you’ve probably got a method for that in particular, I assume. What do you look for? What story are you telling when you hit the road with this? Sterling: Well the method has definitely evolved over the years. These films, the whole Back Country Discovery Route program, has I think really exceeded our initial goals, and become a lot bigger and more important in the world or adventure motorcycling than any of us envisioned when we set off on that journey a long time ago. So, our methods have improved, the quality level or the movies we’ve been making has improved along the way dramatically…but the story, as much as it’s been refined, it’s really a couple of things: to show the route itself, so that riders that are interested can watch the movie and get a pretty clear understanding on what they’re in for. So that they can know some of the challenges that they might face, but also get excited by some of the really cool discoveries that they can make along the way. We also wanted to portray the journey that we have as the team doing it for the first time. In a way that brings to life some of the drama of a long distance motorcycling trip- the characters involved, the things that happen, the comedy, the hard times (when someone gets hurt, or something gets broken), and just wrap it all up in a good story that’s inspiring and entertaining and educational. Jim: You cover a lot of history in it, too. And I guess that’s part of extolling the virtues of the Back Country Discovery Routes as they are, is that they go through these places that- I mean, really every place has a bit of history to it…but I did notice that you touch on it a fair bit. Sterling: Yeah, that’s one of my favourite aspects of doing a BDR is learning about the history of these places that we connect with when we ride out in the back country. There’s just all kinds of opportunities to learn about little old west mining towns and you name it. There’s so many little historical things along the way. The recent BDR- the mid Atlantic BDR- it’s a whole different level of history back there. Because of course, you’ve got history going back to the 1600’s and 1700’s, and the revolutionary war and the civil war, the monuments and the battlefields…all of those kinds of things as well. So that’s an important part of a BDR trip is learning about and seeing and experiencing those places along the way. Jim: Yeah, and it makes it so that it’s not just about finding the next obstacle that you’re coming to, or the toughest road, or maybe the highest twisties on a asphalt road. It makes it so that you’re- I think, in my mind- you’re really experiencing the ride, rather than just the ride. If you know what I mean. Sterling: Yeah, I totally agree. That’s a big, big part of it. Jim: We talked briefly about you being in Mexico, and you were sick and you were down and out. One of the things I wanted to ask you about was…I’m a big fan of film makers and photographers when they go on expeditions, because to me I see that hard work that has to go into the documenting of it as you go, and actually be a participant at the same time. It’s one thing to film a race from the stands or from a press pass when you’re in the pits or whatever, but it’s another thing to actually do the adventure and capture it at the same time. How do you keep yourself, how do you remind yourself, to get those shots? For instance, when you're in Mexico and you’re suffering. Sterling: Yeah, very much. I think, having had a lot of experience over the years in video production and story telling, when I started applying that craft to adventure motorcycling, I knew what to expect. I knew the amount of work that I was in for, I knew what it would take to make the kind of movie that I wanted to make. I think number one, anyone that would want to do this, you just have to be 100% committed from the beginning. And, understand that if you’re really going to make something that’s outstanding, or high level of quality, really engaging…it’s going to change your journey. There’s no doubt about it. Your journey is going to become about documenting the journey, more than just experiencing the journey. And yeah, that’s a challenge. A lot of people don’t necessarily want that to do that, and that’s okay. I completely understand that. I’ve seen a lot of people that get into cameras and bring their camera with them, and then very quickly realize- you know what, I’m not having any fun here. I’m not living in the journey, I’m spending more time thinking about the portrayal of the journey. And I get that, but for me again, my ticket to be there has always been to document the journey. A lot of these rides that I’ve done, there’s no way that I would have been able to afford them or have the opportunity to do them other than to be the one that’s there documenting them. So I guess that was, in a way, the price that I paid. That said, I love doing it too. So, it’s not a bad price to pay. But it definitely changes the experience to be out there concentrating on filming. Anyone that’s worked with me on any of these projects, I think they would say- Sterling, boy, he’s working all the time. And it’s true. When I’m on a ride and I’m filming, I am in film maker mode from sun up to sun down. Then I’m in the tent offloading footage, or watching stuff, for sometimes up to 70 days at a time. I might come home with maybe 100 hours of footage on a big project like that. That’s definitely committing. The other point to make, is that, if you think that’s a lot of work, what some people don’t necessarily realize, is the back end is also really where there’s a lot of work. You come back from this journey, now you’ve got to edit it all together into a movie. And that takes like five times as long as that actual trip took to do. So, that’s a whole other aspect of the production that’s important in where the story is really made, in my opinion. Jim: Capturing it is just a small step in the whole process, isn’t it? Sterling: It’s getting all of the material that you can, and as much as you can, so that you have as many options as you can have when you go into the editing room and try to build that story. Because when it comes down to it and you’re in the editing room, you have to build the story out of the material that you have, not what you wish you had. Jim: So this film that you made in Mexico about the runner, you said you had to go back to film this? Sterling: Yeah, so, what happened was, I had my experience in Mexico, I had seen that cool little race at the bottom of the canyons, and I went home to edit together my movie about motorcycling in Mexico. A few months after I got back, a book came out and it was called Born to Run: A Hidden Tribe, Super Athletes, and the Greatest Race the World Had Never Seen. Everybody started telling me, you have to read this book, you have to read this book. There’s this guy in this book, I think it was the guy you met in the Copper Canyon. I’m like, yeah whatever, and just [kept] working on my motorcycling movie and finishing it. Several months went by, and I finally read the book. I’m like, holy, that’s the guy I met in the Copper Canyon! By then that book had sky rocketed to the top of the New York Times bestseller list. It was huge in the running world. It’s on Amazon’s 100 books to read during your lifetime. [It was a] huge impact in the running world. It basically started the whole bare foot running revolution. Jim: Yeah, I remember them talking about it. They were talking about the fact that these guys are running ridiculous distances, sort of unthought of distances, wasn’t it? Jim: It was big news at the time when this book came out, I remember it being on, yeah. Sterling: It was really big news. The book was so compelling. The character of, the main character in the book, this guy that started the race- Micah True (also known as Caballo Blanco, the white horse, that was what they called him down in Mexico), his character in the book was just fascinating, and compelling, and interesting. I think his character was really what made the book for a lot of people. So he developed sort of this mythic aura around him and the race. I stayed in touch with him through Facebook and over the next 2 or 3 years as the book became more popular, and as his fame grew…which was really a double edged sword for him, because he didn’t care about being famous whatsoever. But if it could help his race, he was willing to bear that burden, because he cared about the Tarahumara Indians. The way he organized his race was that, anyone that finished it would win 500 pounds of corn. That’s a big deal for a lot of people that live down there. And any gringos that managed to make it that far, and run the race and win the corn, would give their corn back to the communities. So, he wanted his race to grow. The book brought a lot of attention to his race, while at the same time exaggerating a lot of things about the Tarahumara, about Micah, and he wanted to set the record straight. So, he approached me about making a longer documentary film about the race and his life, the whole thing. He’s like; Sterling, you came down here, you filmed my race before the book came out, I trust you, I know your intentions, I want you to tell this story. I was incredibly honoured. He has ESPN contacting him, and HBO, all trying to get down there…and he picked little old me. Because, I was the one that actually rode down there on my motorcycle, not even looking for him and his story. In 2012, I agreed to go back down there, and start filming a longer documentary project about him and the race and the Tarahumara. I went back down there, I spent three weeks with him. By then I had upgraded my bike, I was on a F800 GS. I followed him around the canyon for three weeks, I went to the villages as he promoted the race and talked it up, and got everyone to come. On race day I think probably 500 Tarahumara Indians showed up that day. It was incredible. It was a big, beautiful celebration of running and it was just…his dream had come true. His dream had come true in a very powerful way, and it meant a lot to me because I had seen it when it was just a small, small thing. We filmed the race, we said our goodbyes, I said I’d get back in touch with him in a couple weeks, we’d continue filming etc. I go home, and 2 weeks later, I get a message from his girlfriend that he’s missing. He went for a trail run in the Gila wilderness in New Mexico, and they haven’t seen him for two days, and there's a search and rescue. So, I hopped on a plane, I got down there, rented a car, drove out to the middle of the wilderness to join the search and rescue party for him. By the time I got there, they had found him. He had passed away while he was running on the trails, and they were in the process of recovering his body, and bringing it back. So all the footage that I had with him, and the race, and his interview, was all I was ever going to get…was all anyone was ever going to get. At that point the project just transitioned in to more of a legacy film about him, and his life, and what he did with the race. We spent a couple of years putting it together, did a Kick Starter fundraising campaign, and released it. It’s called Run Free: The True Story of Caballo Blanco, and it came out in 2015…told his story the way it was meant to be told, the way he would have wanted it told. Jim: He died running…Did he fall, or was it a heart thing, or something like that? Sterling: He had an enlarged heart. It was a condition that he had all of his life, and it just finally caught up to him. So, people say that if you run those distances, it can affect your heart that way. Your heart’s a muscle and if you use it too much, it can grow too big. Other people say that he lived longer than he would have [done] if he hadn’t run. But, the important thing for me wasn’t how he died, but how he lived. You know, that he lived life the way he wanted to live, and he made a difference. Hopefully that’s what comes through in the movie, that’s what I tried to show. He was a very powerful figure in my life, in many peoples lives, even non-runners from around the world- as someone who had a vision and a dream, and lived life in a very unusual and beautiful way. Jim: What sort of distances are we talking about? Sterling: Well, the race that he organized is a 50 mile ultra marathon. But I’ve seen and known runners that run that race that have run up to 200 miles. Jim: That just seems impossible. Jim: I mean, that’s just so incredibly far. Sterling: Well, you know, I’ve never been much of a runner myself, but after I saw the race in 2009, the next year I went back home and started running. I ran a marathon within a year, and it just blew my mind. I never was a runner, never had run a 5k or a 10k. We don’t often realize what we can do. The potential that we have within us that we can unlock. Jim: What happened to the race that he started? Does the race still go on? Sterling: You know, it still goes on. It still happens every year. The first Sunday in March, in the town of Unique. The municipality, the community of Unique, they’ve taken on the organization of the race, and it continues. There’s also a marathon length version of it as well, and there’s a children’s race now, too. So, it’s continuing in a really great way. Jim: If somebody’s thinking about doing films- and I’m not talking about professional films, I’m thinking about making a film for themselves while they’re out with their buddies- do you have any sort of advice for that? Sterling: My biggest piece of advice would be to have really solid communication with your group about what your intentions are, and what level of commitment you expect from them. So [then] everyone is on the same ground page, so to speak, so that when they go out there, they kind of know what’s expected. Like, it’s this guy just going to be following us with a video camera and filming? Like, it’s not really going to change what we’re doing- or are we going to be expected to be directed, and told when to start and when to stop, and what to do? And just kind of establish those ground rules from the beginning so everyone knows what to expect. Jim: So when you come to a neat spot to get a shot, and you ask them to do it five different times, that they understand that’s part of the deal. Sterling: Yeah, I think for myself that happened more in the old days, in the beginning. I’ve somehow been able to get beyond that when I can usually get the shot that I’m looking for in one pass. I want to avoid making people do that too many times, that just kind of burns out people. For example, one of the things that’s changed in the Back Country Discovery Routes program is that, in the beginning we were filming the ride as we did it. So, a lot of times I didn’t know what was coming up ahead around the corner. So, we’d get to an amazing view point and then I’d have to stop everyone and say, okay, this is good, this is what we’re going to do, this is how we’re going to do it, and then we’d film it. Maybe we’d go a half a mile later and there would be an even more amazing viewpoint. Well, what we’ve learned, and now spend our time doing is, I’ll go out and pre-scout the route as a film maker. I’ll make waypoints about locations and take pictures. I’ll build a solid film making plan so that when it comes time to do the filming, I know exactly where we’re going to stop, what we’re going to shoot, what it’s going to look like, what I’m looking for, and I can be very clear with the group and just say; okay, stop here. Wait for us to get up ahead. We’ll radio you and tell you to go, and you come through, we’ll get the shot, and we’ll move on. So it’s very fast and efficient in that sense. That said, on a BDR trip, we’re there to make a movie. And that’s what we’re doing everyday we’re on the trail. Our whole energy is focused around being efficient and getting the work done so that we can make the best movie possible. That’s very different than just filming something that’s a little more free flowing and you haven’t ridden it before. Jim: Well Sterling, I think I can speak for many of us that we’re just waiting for your next film to come out. Thank you very much for talking with me, I really appreciate it. Sterling: You got it, it’s been my pleasure.